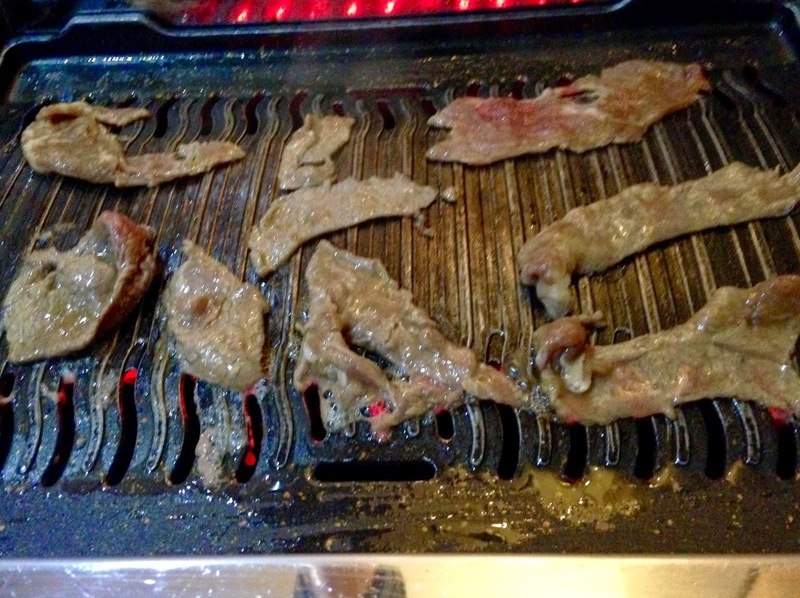 A couple of Fridays ago I asked a friend of mine whether they fancied going for some Korean barbecue the response was a resounding "hell yes!" so that's exactly what we did. 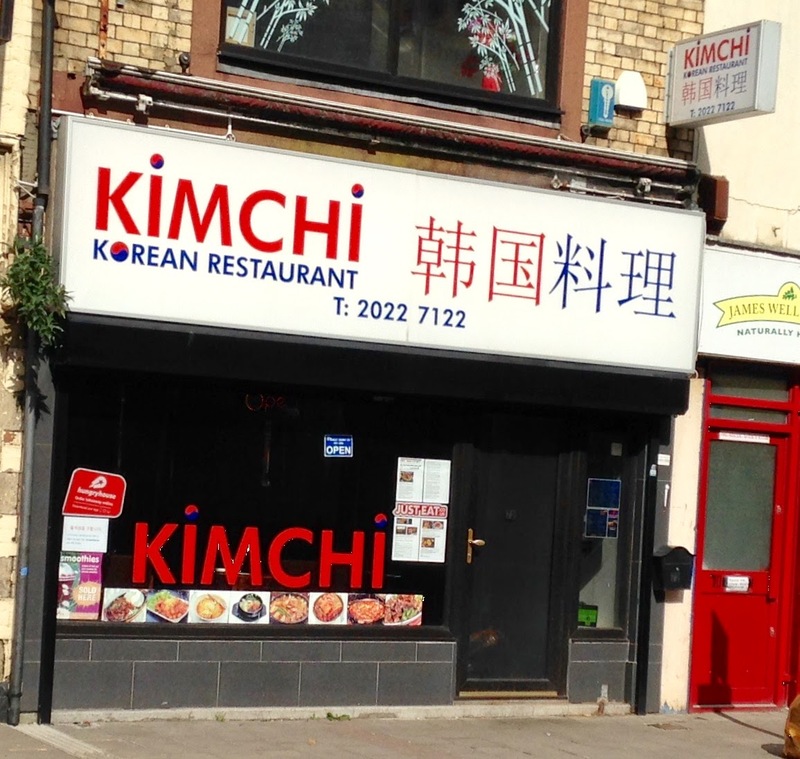 Kimchi, based on Cowbridge Road East in the Canton area of Cardiff, is a place I have walked past several times before but not really taken notice of until I caught sight through the window of tentacle like extractor fans over each table. A quick look at the menu stuck onto the inside of the window with a print out of a couple of good reviews from Gourmet Gorro and Wales Online next to it, like gold stars you used to get at school displayed proudly on your uniform, peaked my interest. So after a few beers in a nearby pub we made our way there, ignoring the large pet shop next door. On this Friday night we had not made any reservations but lucky for us we managed to nab the last table. 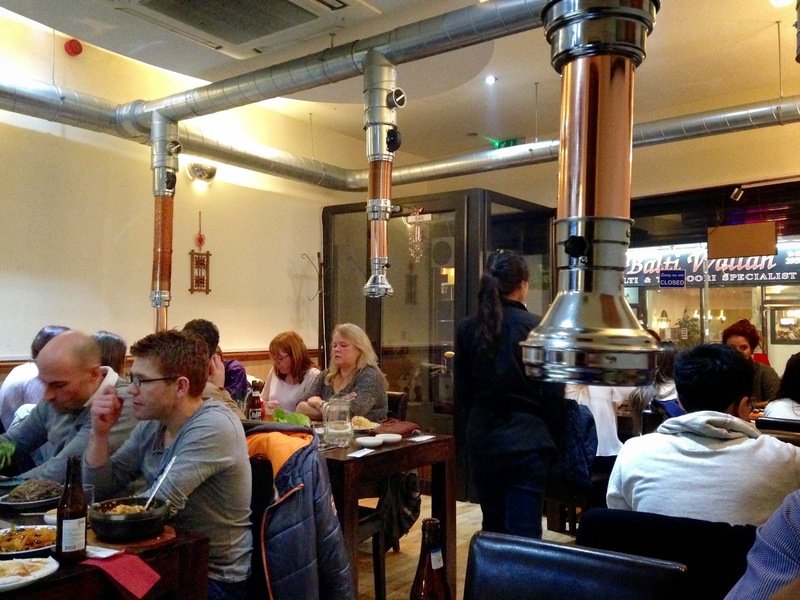 The bright but blandly decorated restaurant is dominated by an intricate extractor fan system which as previously mentioned has tentacle like off shoots suspended above each table to usher away any unwanted smoke once you get going with the hot plates that are set into the tables. As you can see the restaurant was in full swing that night and smelled amazing. We ordered up a couple of Hite beers which boasted ice point filtration, I'm not sure what that actually means but I'm a sucker for claims like that, and got stuck into ordering from the menu. Our very polite waitress then removed the glass panel covering the hot plate in the middle of the table switched it on and brushed on some oil (onto the hot plate that is), our excitement grew like two school boys who had been left unsupervised with the Bunsen burner in chemistry. As food is brought out as it is prepared our table was full almost instantly, so I will address each item in a way that I think reads best but in actuality we just picked at each plate and ordered more half way through! First up, along with our complimentary seaweed and bean sprouts, was chicken dumplings. 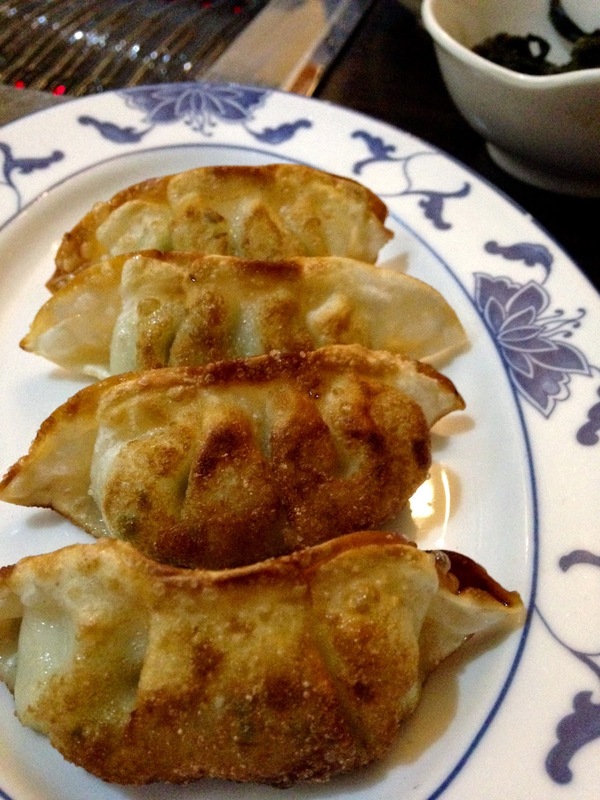 Shallow fried dumplings filled with a soft, deep and savoury chicken filling, the dumpling pastry providing some texture and accompanied by soy sauce for some extra seasoning. These lasted approximately 15 seconds. 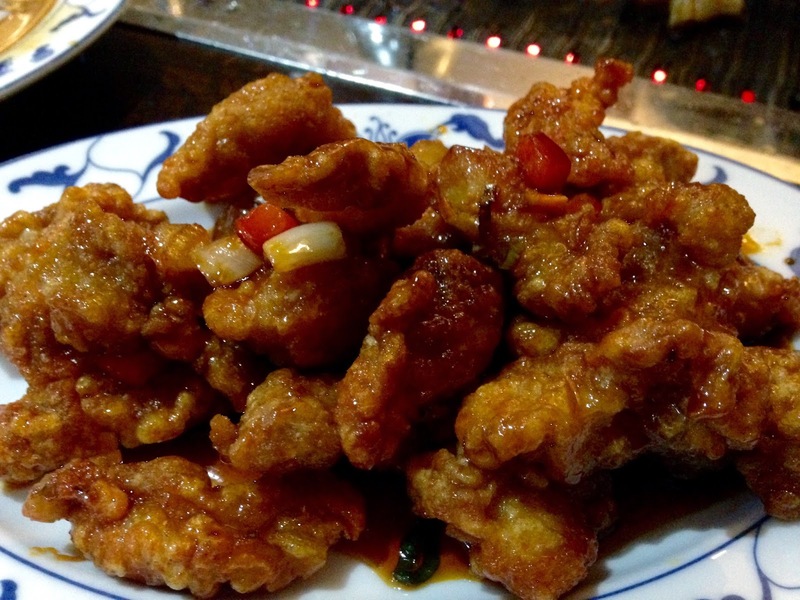 Thankfully the chilli chicken had arrived to try and sate our appetite, the battered and fried chicken in chilli sauce was ridiculously moreish. Nondescript pieces of soft chicken covered in a crunchy and in parts chewy batter that had soaked up the chilli sauce, just delicious. However it was veering more towards sweet and sour and no real chilli heat. For me the main event had arrived, barbecue time! For this we ordered what is reportedly one of Korea's most famous dishes beef bulgogi, a generous portion of tenderloin strips marinaded in sesame oil, soy sauce, spring onions, garlic, ginger and pear accompanied by lettuce leaves and chilli sauce to create your own wrap. We decided to surf and turf so we ordered some marinated squid also. As the strips of beef were placed on the hot plate the sizzle sound was amazing and as the beef was very thin it really needed no time to cook but just enough to get some good colour on it. The beef was unbelievably tender and just melted away after a few chews. We forewent the lettuce leaves to create a wrap but the accompanying sauce and chilli flakes was most welcomed. We alternated between this and the squid, the marinade for it from what I could gather was very similar if not the same as the beef. 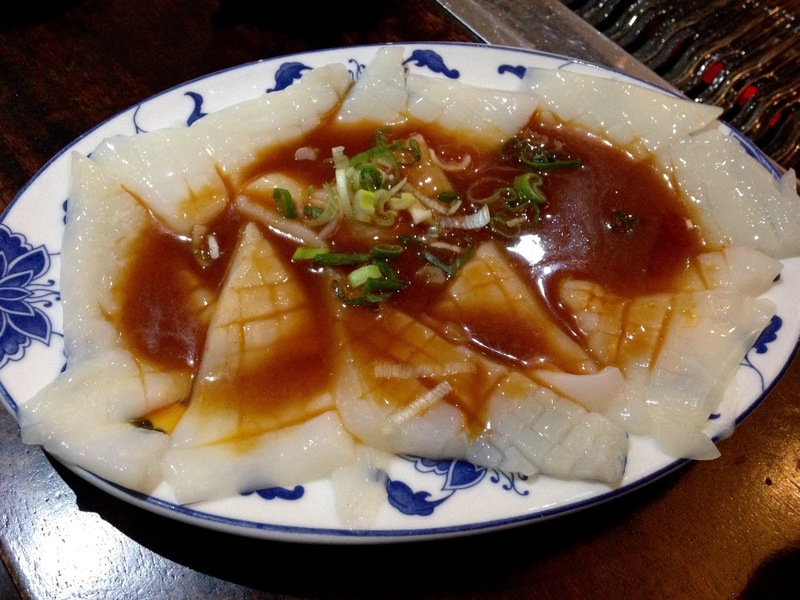 These thin scored pieces of squid curled up almost instantly as they hit the heat. 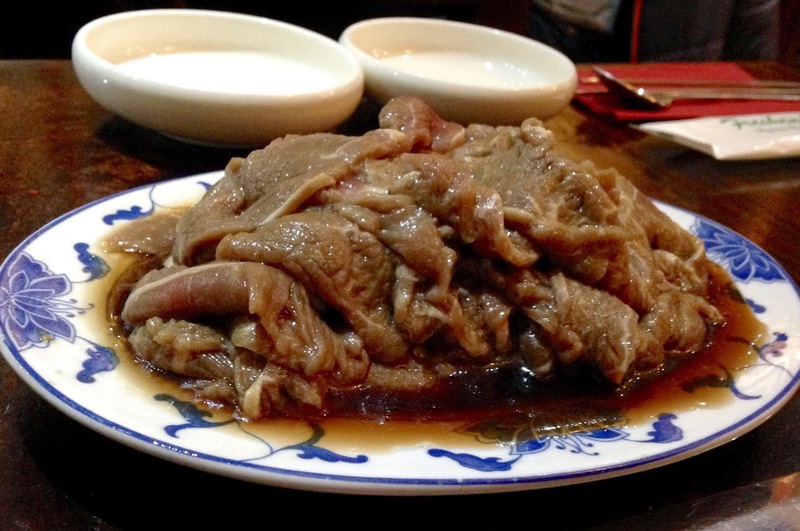 If the beef melted away in our mouths the squid evaporated. I don't think I have ever had squid this good. Accompanying all of the above was the restaurants name sake, kimchi. 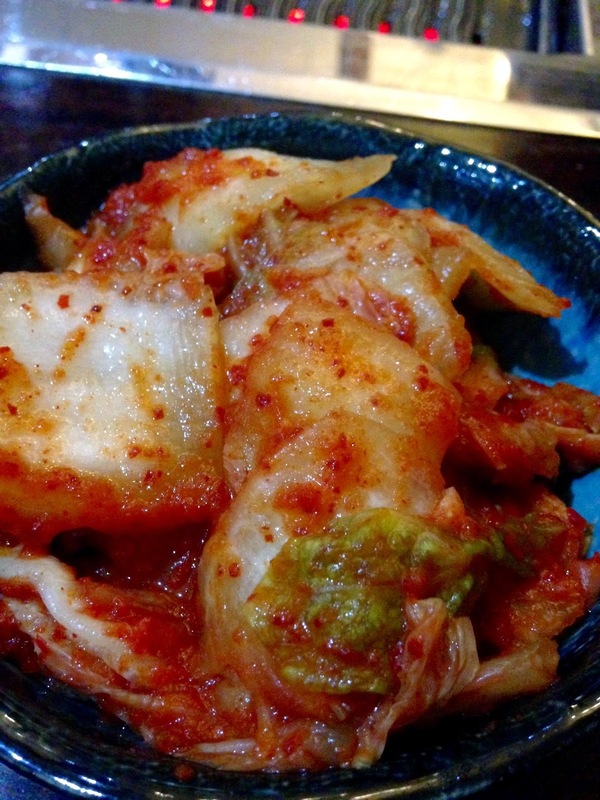 The fermented vegetable side dish has a certain hum to it with a kick. The menu had a section dedicated to it, so we went for 'popular' kimchi. I imagine this dish to create a slight divide between diners who have not tried it before. I for one love it, I admit it is slightly acquired and the slight fizz you get as you bite into the veg is unusual but non the less a trip to a Korean restaurant would be incomplete without it. 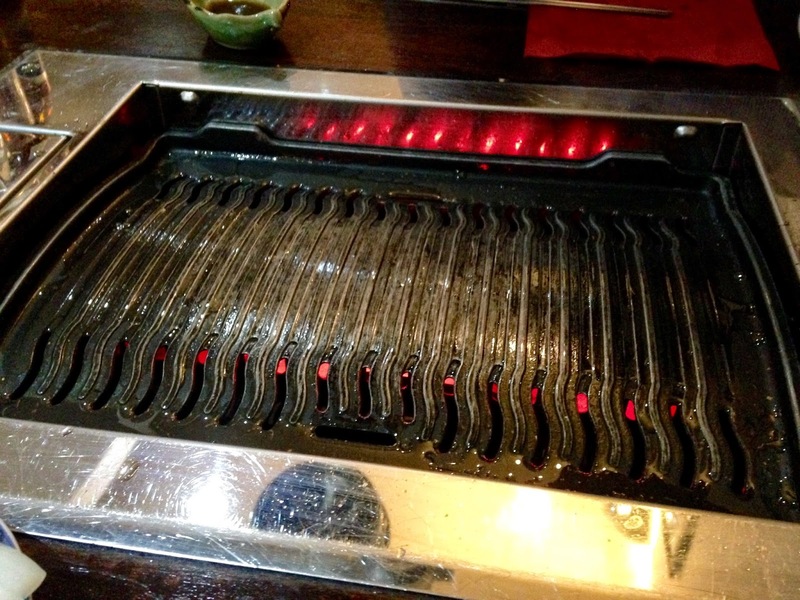 By this point my friend and I thought we were the undiscovered stars of Korean barbecue, so expertly had we thought we had cooked the food on the hot plate. The fact of the matter was that half way through our hot plate had to be changed as we had created such a mess of it and the afore mentioned extractor fan system could have been designed just for us. 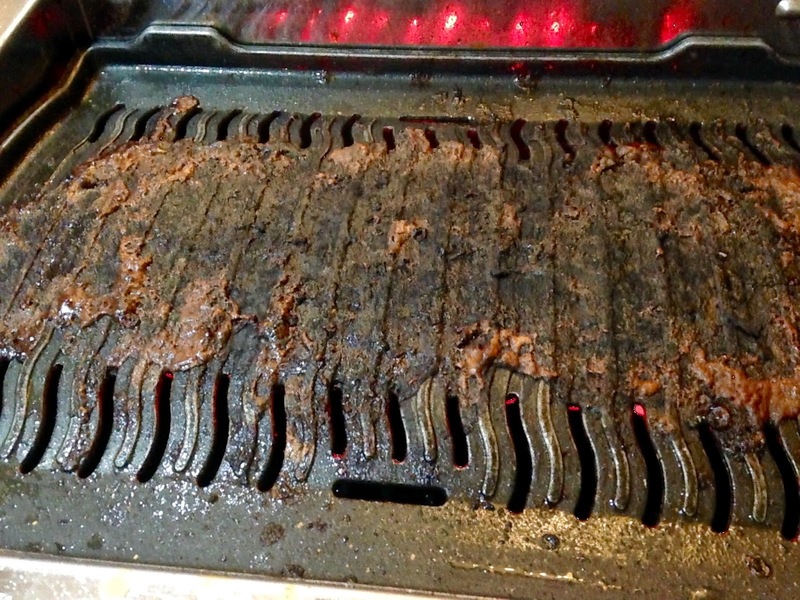 Just look at the state of the hot plate when we were done! I'm surprised we didn't get invoiced for a replacement. The bill came to £42 for all the food and three beers without tip. What an absolute steal. Its fair to say I don't think I have had that much fun eating out in a long time. The atmosphere was great, service good and the food delicious. The best part is we haven't even scratched the surface of the menu. 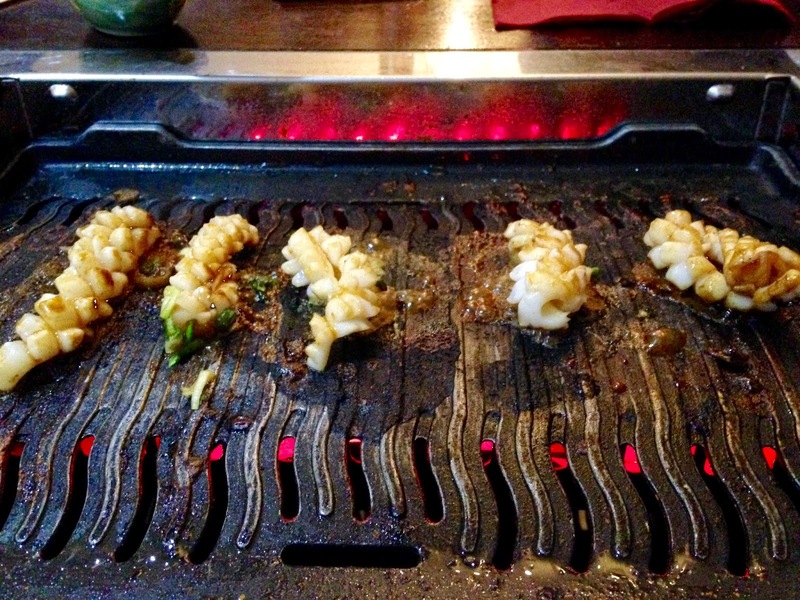 I really can't wait to visit again and urge you to give Kimchi a try next time you want to try some thing very different to what is currently on offer in Cardiff. 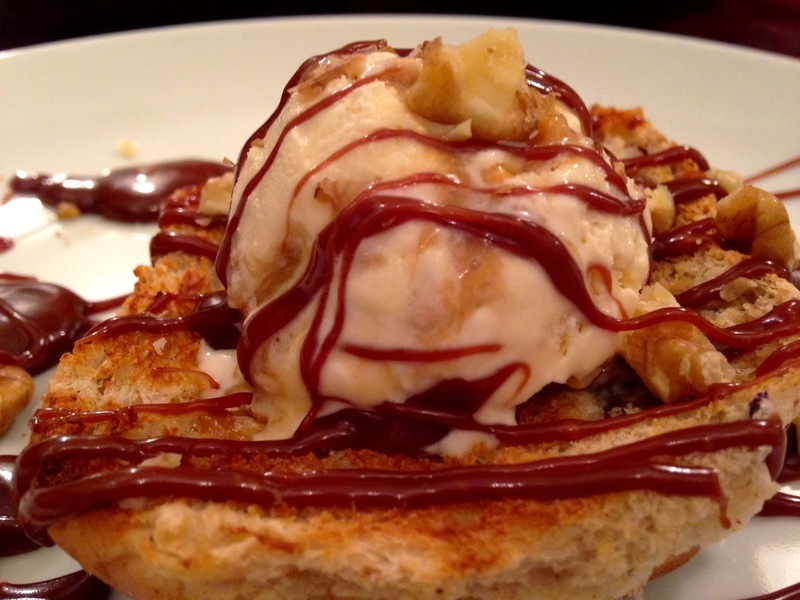 I make no apologies for this dessert. This super indulgent and super simple dessert was one of those wonderful things that sort of just happen. A bit of this and a bit of that and you know what, it tasted amazing. 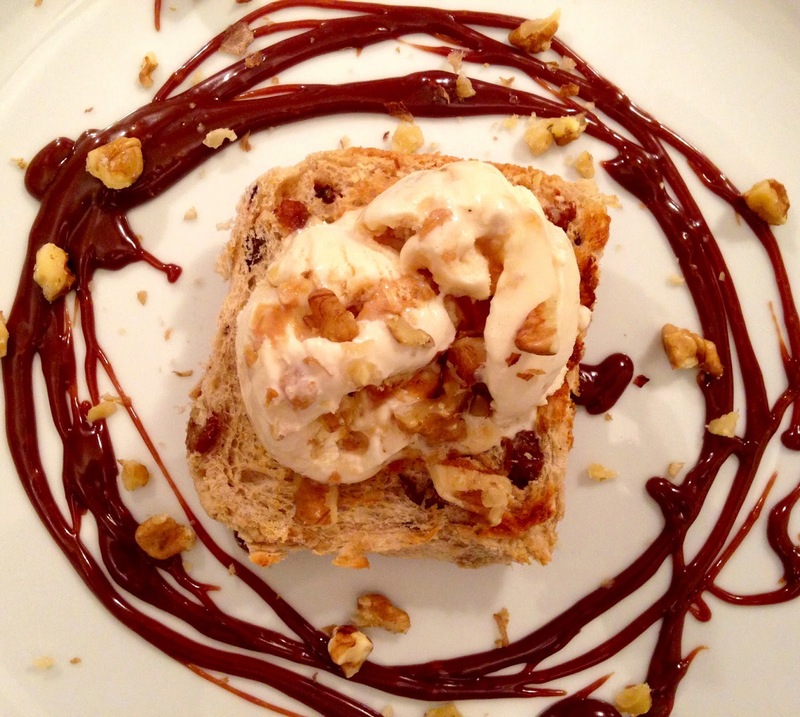 So here it is, give it a go while there is still a glut of hot cross buns about. I reckon once this Easter has passed brioche would make a handsome alternative. Place a bowl over a saucepan of simmering water making sure the bottom of the bowl does not touch the water. Break the Easter egg into the bowl and melt with the knob of butter. 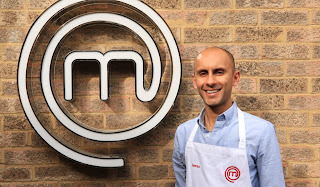 As the chocolate used for the egg isn't really made to be melted in such a way you will need to add milk/cream to create a sauce. 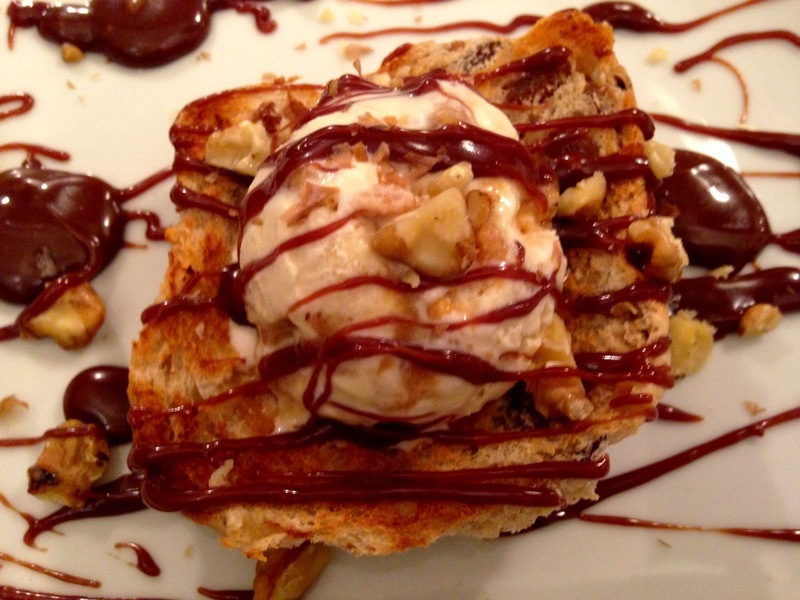 Toast the hot cross buns, spoon on some ice cream, drizzle the chocolate sauce artistically and sprinkle on the nuts! You can barely call this a recipe but it works! Warning the sugar high is quite something after you eat this! The Breakfast Bar, Pop Up Central? Last month saw a number of massive announcements on the Cardiff street food and pop up scene, the return of The Depot, Street Food Cardiff's new venture and newcomers Street Food Warehouse. However there is something special happening at a venue in Cardiff that I find very exciting. 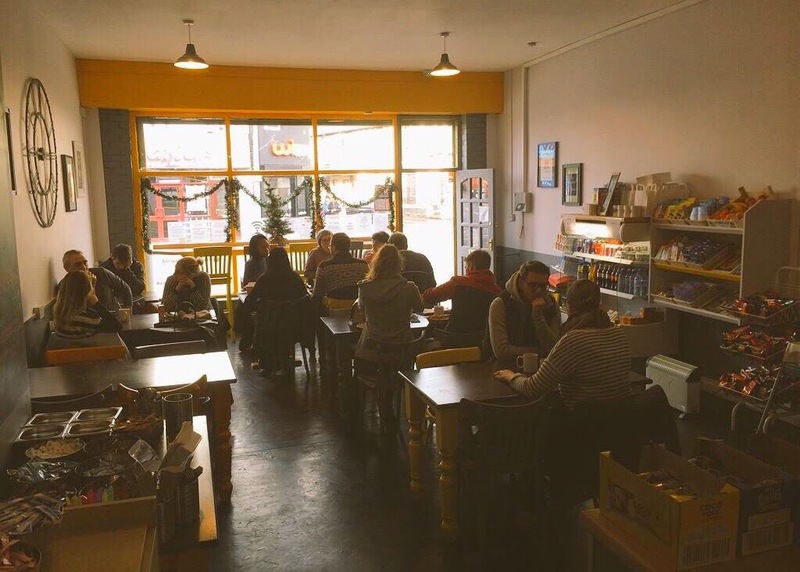 The Breakfast Bar in Canton isn't necessarily the first place you would link with being at the forefront of Cardiff's pop up scene but over the last couple of months this venue has become the go to venue for those wishing to test the waters or simply a venue to showcase what it is they have to offer. Opening it's doors to the public late last year with the aim of providing more variety and quality to the breakfast on the go market. Andrew Griffiths, who owns and runs The Breakfast Bar noted that after his hours of business were up there was a perfectly good venue for people to use in the evenings and that coupled with the escalation of the Cardiff food scene saw the first residents take this opportunity. 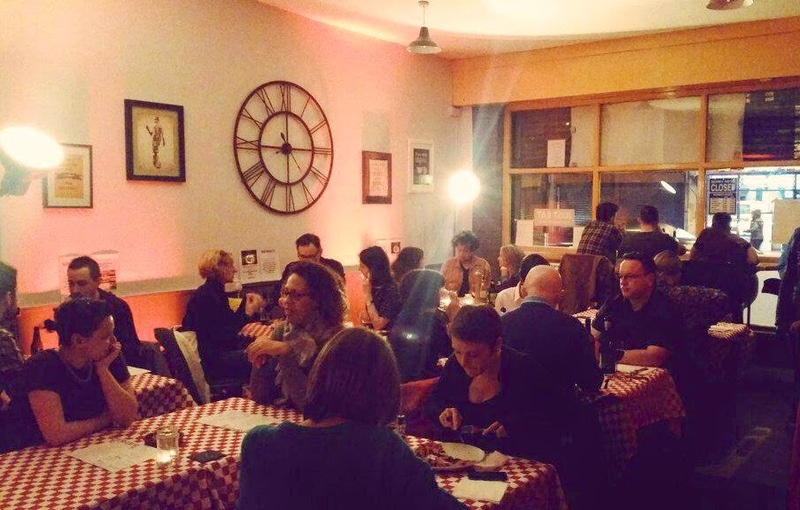 This unassuming venue is a far cry from the high concept and set design of The Depot and Street Food Cardiff venues but what it does provide is a platform and an opportunity for those new or experienced to the food scene. The first to take up residency were the boys from Ffwrnes Pizza and Sunshine Bakery, followed by Pwdin Cart under the umbrella of POP UP 161. By all accounts it has proved to be a great success. I visited a couple of times myself and the transformation from day time cafe to cosy and convivial dining spot was great. A great atmosphere and delicious food. The success of the above pop up has lead two further new comers to the food scene to announce their take overs of The Breakfast Bar. First up this Easter weekend is Macho Nacho, serving up loaded nachos, sorbets and of course tequila! Also rather interestingly beergaritas. The cocktails come courtesy of Two Finger Drinks and the photos they have posted this week have definitely grabbed my attention especially the orange and habanero steak topping! The next pop up has generated quite a buzz, Drunken Sailor set to launch on the 25th of April has already made it on to a list drawn up by Wales Online as one of the pop ups that are transforming Cardiff's food scene. The chaps behind Drunken Sailor aim to serve up some damn fine hot dogs and home made waffles all washed down with some carefully selected craft beers. Waffles topped with strawberries, cream and and Merlyn's Beard Sauce! In short, I'm glad that there is a venue like The Breakfast Bar providing this opportunity and platform for those wanting to make their mark on Cardiff's ever improving food scene and I for one can't wait to see what happens next. For more information click on the links below. Also thank you to Drunken Sailor, Macho Nacho and The Breakfast Bar for the photos.